Dr. David Steenblock talked about how he’s treating diseases like autism, Parkinson’s, cancer, strokes, cerebral palsy, als (Lou Gehrig’s), migraine headaches, rheumatoid arthritis and more using stem cell therapy, chelation, nutritional iv therapies, hyperbaric oxygen chambers and more. This is incredible information and sure to change lives. 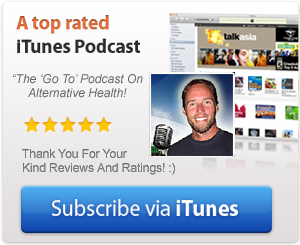 This is truly one of the most powerful interviews on stem cells & natural healing I’ve ever heard. – Click to tweet this! Guest Info: Dr Steenblock is the Founder and Director of The Brain Therapeutics Medical Clinic in Mission Viejo, California. He is a pioneer in brain repair, working with not only stroke patients, but also those with cerebral palsy, traumatic brain injury, Parkinsons disease, autism, migraine headaches, and Alzheimers disease. Dr Steenblock is an osteopathic physician, well versed in biochemistry, nutrition, and safe, effective therapies for patients suffering from chronic degenerative diseases. Author of Umbilical Cord Stem Cell Therapy. JUSTIN: Thank you so much everybody for joining us. I really hope you’re having a great day with whatever you’re doing today, that your life is going well and that today is a great day for you. Thank you so much for joining us and a pleasant good afternoon or good evening to you. This is Justin, from extremehealthradio.com and we are currently broadcasting worldwide from Southern California, which is an amazing thing. I’m really excited about that. We are currently doing three shows per week, on Monday, Wednesday and Friday, and thank you for joining us today. Today is Wednesday, October 17, 20012 and this is episode #23, so you can find the transcription, the show notes, reference materials, websites and all that good stuff, on extremehealthradio.com/23. If you have a question for the guest, or for me, please send an email to Justin at extremehealthradio.com and I’d love to hear from you. Or, you can call our voicemail line, which is (949) 391-7363 if you’re a little more bold, but don’t worry I won’t answer and you can just call up and leave a message and we’ll play your voicemail live on the air. Before we introduce our guest today, I’d like to talk about our upcoming show schedule. It’s amazing as we are booked up all the way through the end of the year, with amazing guests from authors, scientists and researchers, all trying to get out some more information about health and healing. On Friday, we have Marty Gallagher, who is an exercise and fitness authority and he’s going to be talking about lots of his training protcols for fitness and exercise. which should be fun. On the 22nd, we have Magda Havas, who is an expert in the field of electromagnetic radiation, EMS. So, if you have a cell phone, you may want to listen to that show, which may be disturbing. We also have Dr. Mark Sircus, who is the founder and director of the International Medical Veritas Association in Brazil. He is a prolific author, doing work with things like cancer, heart disease and things like that. So, tune into that show. Thank you doctor for joining us today. DAVID STEENBLOCK: Thank you for having me Justin, it’s great to be here. JUSTIN: Excellent. So, how long have you been in practice in Mission Viejo? JUSTIN: Wow, and the federales haven’t given you any problems, huh, or have they? DAVID STEENBLOCK: I wouldn’t say that. Anytime you’re doing state of the art, cutting-edge and leading-edge type of medicine, you’re going to be attacked, because it’s like that old Chinese proverb, the soldier at the first stand gets shot down first. So, I have a lot of arrows in my back. If you want to hear and see some really bad stuff about what people can make up in false lies, you can just look me up on the internet at steenblockintroubles and we’ve got lots and lots of troubles. Why, because I’ve had just one lie after another, after another, and they tried to take me out of practice, because they don’t appreciate me using natural substances. You talk about prejudice and what not in this world, and prosecution and persecution, if you’re doing alternative medicine and trying to use vitamins, minerals, nutrition, amino acids and herbs rather than drugs, you are attacked, and viciously. They have no holds……..5.00…..last night on the presidential debate, one lie after another from the presidents. Well, take that and bring it down to the state laws and you’ve got people lying constantly to put guys like me out of business, because I’m a danger to the status quo of pushing drugs onto everybody. JUSTIN: I think it’s been throughout history that they have attacked, like Harry Hoxsey, and they dragged him through the mud. I think that website quackwatch is………5.35…. DAVID STEENBLOCK: That’s the bad thing about not only myself, but probably you and anybody else who has been involved with alternative medicine. Anybody who uses anything that’s not drugs, they’re …….5.47. If you look on his site, there’s virtually nothing about drug companies and all of their ………and all of the people that they’ve killed, 200,000 people a year being killed by drugs, but they don’t mention that at all. If one person gets sick from an iron pill or a vitamin-A, it makes headline news and they say that all nutritional supplements should be outlawed. JUSTIN: Yes, it’s just amazing. So, you’ve managed to steer clear or figure out how to protect yourself from that and stay in business. you know protest and tell the truth, I’ve had to keep my mouth shut. Well, I’m 70 years old and I said ‘that’s enough’. I’ve had enough of these guys and I’m not going fight them anymore. Now, we’re suing everybody in the community and we …….7.02……for the first time, finally. JUSTIN: They did the same thing to Dr. Burzynski, who is doing a lot of work with cancer in Texas. Where do see this heading? Do you think in the next 20 years, it’s going to get worse or do you think it’s going to stay at the status quo with all of this? What do you think? DAVID STEENBLOCK: That’s a very good question. I think it comes down to public support and I think we’re seeing a lot more public support for alternative medicine and natural medicine. I think that the public is becoming aware that drugs can kill you. We just had this big spinal cord steroid fiasco, with all these people dying and becoming sick with fungal meningitis, secondary to contaminated drugs. We’ve had just one case afdter another. All you have to do is listen to the news on the TV and you’ll see all these drug advertisements, and they say ‘you can use this for this, but you have to be careful of all the different side effects, including death’. You have to be brain dead not to understand that these drugs are dangerous, when they haven’t told you that right up front that these can kill you. The public is starting to realize that drugs are not the answer and they’re hoping for something safer and simplier. I’m trying to do that and I’m trying to come out with a whole new line of nutritional products so that all of my products will be in the drug stores like CVS and all the pharmacies. I’m going to try to give the public an alternative to the drugs and all their side effects. JUSTIN: That’s great. Did you get involved in stem cells initially, or did you get involved with some other modality of health and then eventually got into stem cells? DAVID STEENBLOCK: Well, I started off with stem cells back in 1969 at the University of Washington, where they were doing bone marrow transplants. That’s where I was first introduced to them. Dr. Donnall Thomas won the nobel prize for his work in bone marrow and he was the man in charge there when I was there. I learned a little bit there and then I went on to lots of other training and what not, and in 1980 or so, I became interested in hyperbaric oxgyen and I’m using that to help people and repair damaged tissues. Then, that led to my work with …..9.38 ……patients and I remember Dorothy …….was my first real major …….patient. She was a patient of mine who had a stroke and was being admitted to an intensive care unit. Her daughter called me and said ‘what should I do’. I said ‘bring her to me, put her in an ambulance, sign her out against medical advice and bring her over to me’. I put her into a hyperbaric oxygen chamber and we treated her with chelation therapy every four hours, and within 24 hours she was back walking and laughing and she walked out of my office on her own, by her own efforts. So, that was a true miracle what we were able to show, that we had taken an acute stroke patient who was in a coma and bring her back to basically full functioning within 24 hours. That got me really excited about using hyperbaric oxygen, chelation and these anti-oxidants for the treatment of an acute stroke. Then I got on to treating chronic strokes and my next patient with a chronic stroke had been on disability for ten years and had not been able to go to the bathroom by herself. Her husband had to pull her pants up and down and clean her bottom and what not. After ten years, he was a little tired of that and she came in, in a wheelchair, crying and saying ‘what can I do, you can either kill me or help me out of this wheelchair, one or the other, because I’m not going to live like this’. I said, ‘well, I’ve got a gas chamber, let’s try that, but it’s oxygen instead of poison, so let’s see if we can …….11.07 your oxygen……’ Within ten treatments, she was up and walking, out of pain and just going crazy about it. Her husband was right there and saying what a miracle it was. That case really got me excited about using hyperbaric oxygen for strokes and I went on to treat over 2000 patients with hyperbaric oxygen. That was up until about the early 2000’s. At that time, people were still, you know, you go through too much hyperbaric and you get better, if you’re in a wheelchair you get up out of the wheelchair, or if you’re using a 3-prong cane, you can get off of the cane often, if you’re not eating you can start to eat, if you’re not speaking you can start to speak, but you will still have some residual deficits, so these people who had many worries, asked me ‘what else is there’. At that point I was always looking at ‘what else’ could help them and I got them interested in stem cells as they were becoming available and I got interested in using those. First I was using …….12.11, embryos, spinal cord ……and that did some benefit, but I didn’t see much, so I was still looking for something better. Then, human stem cells came along and I started using those and seeing better results with that. So, I’ve been using that. I started off with cerebral palsy patients, as they were healthy kids and had no problems other than being brain damaged. We treated them and had tremendous results with that. As far as I’m concerned, stem cells are the answer for cerebral palsy, and one of these days that will become standard care and standard medicine. But until then, we will have ……12.52 ….controlled studies and nobody is going to believe me. You know, because one guy talking doesn’t seem to cut it, and they all think that I’m lying and making this all up, and, for some reason, I guess………13.07 so they don’t know what to do if the person is actually telling the truth. In any case, cerebral palsy is a great condition to treat with stem cells and you get better results with stem cells with stroke patient. I use it for ALS and I have a whole and complete program for ALS. I have videos and testimonials on youtube. Got to youtube and put in my name and you will see all kinds of testimonials for different conditions having had great results with stem cells. In our office, we have hyperbaric oxygen and stem cells. We have external cryonization which is a treatment to enhance the collateral ….13.49….to your heart and your kidneys and organs. We have a thing called periodic acceleration therapy which stimulates …………14.00……All of these things are designed to help the stem cells grow and graft and to make you have a better result from whatever condition you have. JUSTIN: Getting back to cerebral palsy, what do you think is the cause of that? Obviously, a cerebral palsy patient is, maybe they’re deficient in oxygen and that will fix it, but what’s causing that disease? DAVID STEENBLOCK: Well, there’s a lot of reasons why, but the most common is lack of oxygen, because there is some kind of birth trauma, the cord gets wrapped around the neck or there is prolonged birth trauma, to oxygen supply is cut off, there is increased pressure on the baby’s brain, there are ……14.52…hemorrhages that occur along the ventricles, which is where the stem cells are, so you get these little areas of damage. That results in something that’s called periventricular leukomalacia, and if you see that, ……….15.04, it’s almost always helped by stem cells. So, stem cells go to white matter and help repair white matter. Whenever you have a cerebral palsy child with white matter damage, we can pretty well be assured that stem cells are going to work. If you have multiple sclerosis, that’s another white matter disease, they’re also helped quite well with stem cells. I do offer free consultations and people just send me their records or give me a call, and I say, ‘well, you haven’t given me enough, I need to look at your MRIs or whatever, but in general I can seriously state whether stem cells are going to work, or what’s going to really help you. Medicine is complicated, to say the least, and you need to go to somebody with as much training and experience as possible. I’ve had 40 years, I was trained as a biochemist and as a pathologist and I’ve treated ………..16.06…for the last 40 years. When you have somebody who doesn’t know what else to do and their doctors don’t have a clue what to do, that’s the time to call me. JUSTIN: With these types of diseases, these are pretty big time diseases, parkinson’s and cerebral palsy. What do you think the average result is that you get? I guess it would depend on how bad someone’s case is? DAVID STEENBLOCK: It would depend on a lot of factors. Neurologically, neurodegenerative diseases, we have come so far, so fast, in terms of now knowing what’s causing them. We know now that in most of these cases, there’s chronic infections that cause endotoxins to be released into the circulation……17.10…in the brain and the spinal cord. These infections down regulate the vitamin-D …….. 17.10….and that changes the immune system. It starts going crazy and starts attacking everything. So, you combine that with blood brain barrier…17.19 ….problem, you’ve got a leaky brain and the …17.22…..antibodies are circulating in the blood stream, and then they will pass through. In Alzheimer’s cases, for example, these antibodies will cross the blood brain barrier, get into the …….17.35 ..cells and form the amyloid and that’s what kills those cells. You have to regulate the vitamin-D receptors, which then shut down the autoimmune activity and you have to try to block the blood brain barrier problems. That’s the endothelial cell problem, the inner lining of the blood vessels are damaged in Alzheimers. We’ve known this for about 25-30 years, that vascular disease is a major component of Alzheimers, it just turns out now that we have proven it really definitely and that this is the cause, it’s just not some made-up stuff, it’s a combination of infections, autoimmunity and blood brain barrier, with a down regulation of the vitamin-B receptor, which then allows the autoimmune system to just go crazy. JUSTIN: Wow, and I’m sure that’s related to leaky gut. DAVID STEENBLOCK: Yes, the leaky gut is very important. It’s part of ALS. If you want, I have a 9-minute video on ALS, Amyotrophic Lateral Sclerosis, and the cause of that. Nobody else has really put it together, what’s causing it, how to treat it. It’s very interesting, and the fact is that almost everybody just misses it and you just have to study it and work hard to look at it. You put it all together and almost every ALS patient you see is almost exactly the same. They all have the same problems. They all have some kind of back problems. They all have some kind of gut problems and they all have endotoxins. These endotoxins are all combined together to cause the damage to the microglia and the astroglia and create the problem. If there is a blood spinal cord injury as well, hypoxia of the cord, all these things are pertinent and related and you have to take all of these different issues ……19.39….stabilize and get better. JUSTIN: Golly, this is just fascinating. So, this must be so rewarding for you, as these are conditions like you’ve got Michael J. Fox and other celebrities who have these issues. It seems like the average person out there has no idea that these types of things exist. It must be some of the most rewarding work to be doing. You must feel great. DAVID STEENBLOCK: I’m very excited about it obviously, but my problem is that I just don’t have time to stop and do big studies to prove that I’m right. People criticize me for that, but I say, I only have one life and what I do is forge ahead and take as much data as I can and use it to understand the disease process and come up with a therapy for my patients. My patients are the ones who are paying my bills, so I don’t get any big rewards for taking my money and doing big controlled studies that would cost a million dollars at least, for one good controlled study, so I spend two or three years of my time doing that. In that period of time, I’ve lost time because I’m not keeping up with the latest state of the art in these other areas. So, my goal is to make everybody as happy and healthy as possible, and the only way I can see it is that to know as much as possible and keep up with all the latest science and medicine and try to apply it to each patient who I see. JUSTIN: Fascinating. We’ll be right back as we have to take a quick break. We’re with Dr. David Steenblock and he’s got a website called strokedoctor.com as well as stemcellmd.org. We’ll have all of his sites listed on this show page. We’ll be right back with Dr. David Steenblock. KATE: Hi, this is Kate and thanks so much for listening to the show. I want to tell you about a product I love called Yeast Infection No More and you can find it at extremehealthradio.com/yeast. If you’re like me and have ever had a yeast problem, candida overgrowth and have had many of the following symptoms, like digestive disorders, gas, bloating, skin rashes, allergies, migraines, being tired and PMS, this is a great system. It will teach you how to permanently cure your yeast infection, rebalance your body, boost your immune system, regain back your life basically. It has been successfully used by thousands of men and women worldwide. It’s best-selling and instantly downloadable, 250 pages of jam-packed advice and instructions, backed by over 35,000 hours of intense research. It is also accompanied by free private mail counseling for over three months if you buy the product. What don’t you have to love about it! Again, find it at extremehealthradio.com/yeast. 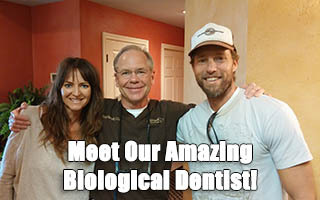 JUSTIN: Okay, we’re with Dr. David Steenblock from strokedoctor.com, a really exciting guest. I’ve got so many questions. Doctor, I know there are quite a lot of different types of stem cells, like the umbilical cord, the embyonic, animal stem cells, adult stem cells. What are stem cells and how do they work? DAVID STEENBLOCK: Most of us know about seeds, we’re gardeners and we’ve planted seeds here and there as kids, and as adults we have gardens. We’re farmers and we plant corn seeds to get corn, we plant soy bean seeds and we get soy beans. The same thing with human stem cells, which are seeds. These seeds become basically whatever our body says that they should become. If we plant a soy bean, we get a soy plant and in the body, if we have a stem cell and put it into a field like in soy beans, then it becomes a soy bean. If we put it into a field of corn, then it becomes corn. In other words, if you put a stem cell into a damaged heart, it becomes tissue that is there to help repair the heart. Then it goes to the lung, and there’s damage in the lung, it tends to help repair the lung. In many cases, in most cases, they’re involved in making new blood vessels. In the first three or four weeks, after you have stem cells, what the stem cells do is they go to areas where there’s been damaged blood vessels. And they repair the damaged blood vessels, so that repairs the oxygen supply and helps remove the toxic materials and what not. In that sense, you’re really helping repair your body because you’re repairing the blood vessels and the oxygen supply to those damaged tissues. So, that I think would probably be the #1 Way that stem cells work. Then you have the other process, where you are actually helping heal the tissues, like in cerebral palsy tissue, where you have white matter damage. The white matter is like insulation around the electrical wiring in the brain. The other grey matter, which is on the outside, which are like neurons and these neurons are like computer chips. On some of these computer chips, you have a wire, and around that wire you have white matter, which is like in the electrical wire, is black and in the brain it’s white. It’s the same thing, it insulates and this is a sturdy type of material which keeps the electrons where they’re supposed to be, in the nerve, rather than escaping. In these conditions of cerebral palsy or multiple sclerosis, this white matter is damaged and the stem cells will go in there and fuse these tissue and actually rewrap and make the insulation whole again, so you don’t have the shortening out process and their nerves can function again for the first time in a long time. We see children with cerebral palsy who are totally blind and after stem cells they can now see. Or they couldn’t talk and now they can talk. It goes on and on about what they can do. The #1 thing you see in cerebral palsy is the reduction and elimination of spasticity. If you look at my website or on youtube and look up ‘Emily’. Emily was my first case of cerebral palsy, where I did a bone marrow transplant, and within five hours after having a bone marrow transplant, the toes on her left foot, which had not ever worked for 17 years of her life, her toes started to work for the first time in 17 years. By the next morning, 18 hours later, her right arm that had been fixed onto her chest because of spasticity, was now able to be raised up over her head. Six months later, she was able to go dancing at her senior prom, like a normal kid, instead of having to hobble around like a cripple. You look at her now, at the way she looks and talks and you actually think she is a normal kid, whereas a year or so ago, she was hobbling around in a disabled situation. It’s amazing what you can see with stem cells and what power they have. In general, my practice has migrated all the way through pretty much specializing in stem cells, because they are so much better and so much more effective than pretty much any other treatment there is out there. JUSTIN: With those types of patients, do they see results that last for a lifetime. DAVID STEENBLOCK: For a lifetime, there is no reversal. Once they get this tissue back and the function back, they do not lose it, which is also amazing. It’s the same thing with hyperbaric oxygen, if you went through two months of therapy in general, whatever improvements you make you keep. Why, because you’re making new blood vessels and those new blood vessels become stable. New blood vessels take about a month to six weeks to become really stable. During the first month that they were not stable, they can be effected by infections, trauma, toxins, alcohol and all things like that. So, that first month after a stem cell transplant, you do have to be careful. You have to avoid infection and you can’t be drinking booze. You have to pretend like you’re pregnant, like in the first trimester of pregnancy. So, you wouldn’t be drinking a quart of beer or a bottle of whiskey or something every night during the first trimester of pregnancy and expect to have a normal baby. You wouldn’t want to come down with measles or mumps or some virus during that first trimester. JUSTIN: With diseases like Parkinson’s and Austism, are these considered to be money-making diseases in the same way that cancer is for the industry? In other words, when those types of patients go to a traditional doctor, are they loaded up on medications for the rest of their lives or what is the typical protocol for things like that? DAVID STEENBLOCK: There’s another story about that, but in general, what you see is more loss of money from the individual person and the family. It’s a very expensive thing to have an autistic child, and it’s a very expensive thing to have Parkinson’s for the patient and for the family, because of lost productivity and all the different therapies that are involved. We have an industry to help people and we have physical therapists and doctors and drugs and all that kind of stuff. There is some money there for the people who are doing these services, but you know, if you want to make money, you don’t ……..29.31 of taking care of autistic children and taking care of Parkinson’s patient, you go into selling, you know, Rolls Royces or Lexus’s, you know. Become a car dealer, what the heck, sell one car or sell thousands, or something. You don’t make money, good money, the kind of money that people always talk about and dream about, you don’t do that as a doctor. Even if you’re a cardiac surgeon, you don’t make that kind of money, as compared to business people. Business people who have a good product, or products, and sell them to millions of people, make a lot more money than those of us in medicine. I think it’s more of a human tragedy issue that we’re dealing with, with all these people who are sick, have disabilities and not able to function, and anything we can do to help them that’s safe and simple and not that expensive. I mean, my stem cells are down so low, we’re down to just $1000 which is my lowest price, all the way up to $30,000 or $40,000 for all of the programs. Some people come for a month and have terrible problems and nobody has any answers for them whatsoever, so we try everything we can, but with no guarantee to them. One patient called me from Ghana yesterday, in Africa, and he’s blind from optic nerve atrophy and glaucoma. He’s been blind for 10 years. Well, I can just say, come for one day of stem cells and hope, or you can come for a month and during that month we will give you hyperbaric oxygen and we’ll give you external counter pulsation and chelation therapy and stem cells. Anything and everything to increase your blood flow, increase the capillary density and increase the blood flow to the optic nerve and repair of the optic nerves. Those are the things that take time and energy and all you can do is try in those situations. You can’t promise that you’re going to get anywhere, because we’re doing something nobody has ever tried, and yet the person has got the money to spend and they’re willing to do whatever they can to try. We’re offering the latest state-of-the-art stuff that there is in any place in the world. JUSTIN: What about conditions like Lou Gehrig’s or maybe even rheumatiod arthritis. I know someone who has that. What causes those conditions and are stem cells effective for that as well? DAVID STEENBLOCK: Like I said, there’s ……32.07 ..in the video that causes ALS on ……..32.11….put in …..steenblock ALS and basically, it’s a combination of back injuries and neck injuries that have been disregarded by all the other doctors. It turns out that these tissues generate tumor necrosis factor and gamma interferon, but that is infected with like yeast, or when yeast candida invades the gut wall, it generates tumor necrosis factor and all of these things effect the monocytes. The monocytes are in the spinal cord and these monocytes are activated by the endotoxins from the gut. These endotoxins cause the tumor necrosis factor, and all those things cause degeneration of free radicals, …………… 33.00 …………The cord itself is hypoxic because of these paravetebral, paraspinal injuries, and so the person who has this usually has spinal nerve injuries that generate themselves, gamma interferon and tumor necrosis factor, so you have all these things going on. Low blood sugar, and hypoxia also cause tumor necrosis factor and gamma interferon. All of these, all kind of come together that form these problems and cause …..33.44…conditions, so you have to address all of these issues. Once I’ve got all these other things somewhat under control, then I’ll use stem cells, because then you’ve good some good long-term response. The biggest problem with them is that, in the gut, they have what’s called biofilm and this biofilm is very hard to eradicate and often times we have to work on that for months to get rid of that, because otherwise they just keep pouring these poisons into the system, so unless you take care of that, they can continue to get worse. And then of course, the patient has to listen to me when I say ‘you don’t go out and ride motorcycles again, because every trauma that you have causes more damage to these areas and causes more of these same problems’. So, trauma is something that the patients have to be concerned about also. What was the other condition? JUSTIN: The other one was rheumatoid arthritis. I have someone in my life who has rheumatoid arthritis. DAVID STEENBLOCK: Rheumatoid arthritis again is one of those things I was just talking about before, where there is a chronic infection. If you look at the data, there is a tremendous amount of data, showing that these patients have excessive amounts of antibodies, like staph and strep, a whole variety of things. I’ve had patients with parasites and they have a lot of molecular …….34.57…..in the intestinal tract. They have …….34.59…. and you can also use a blood pressure drug called ……..36.01 ….. and you can work on that. You do all those things and then you can use ……36.04 ….stem cells that quiet it all down and prepare to inject the joints themselves. Then, of course, you have all the other anti-inflammatories. Anyway, the answers are becoming apparent and we’re getting the methods to do it all. You can’t just give stem cells. Most of places around the world, just say ‘okay, come on over, I’ve got stem cells and we can fix you’. That usually doesn’t work, because you’ve got all these other complicating features. Now, it does work for some, probably because they don’t have any other problems. They just have the brain damage and you give them stem cells, an IV, the simpliest thing and within, if it’s really bad, it will take three months to get better. Somewhere in there, 80% of the patients will see significant improvements. For example, I had one patient, 12 years old. She spend over $350,000 taking care of her child, a 12 year old girl, still disabled, $350,000 on physical therapy, high professional therapy and speech therapy and just one vial of stem cells. Within one month, she said to me, ‘I’ve gotten better results with stem cells than I had in 12 years and $350,000. So, that’s the kind of power these stem cells have. JUSTIN: Are there different types of stem cells. DAVID STEENBLOCK: Yes, there’s …….37.30…..there’s bone marrow stem cells and there’s umbilical cord stem cells. In general, most of us are not using the fetal aborted tissues, which are pretty much against the law, but there are some crazies that are doing that. Again, they are just out to take your money. If you look at my experience, four umbilical cord vials, about 10 million umbilical cord stem cells is equivalent to one aborted fetal cell transplant. They charge anywhere from $25,000 to $140,000 for that, and we’re charging like $4000. You know, we are almost at the point of giving this stuff away and we’re the lowest price in the world as far as I know, and providing the best. JUSTIN: What’s important with the stem cells is the growth factor? DAVID STEENBLOCK: Yes, that’s true. Especially the older you get the more trouble you’ve got. If you look at the growth factors in a child and a baby, on the average if you take and look at like 30 different growth factors and measure them, you get about 10,000 micrograms per deciliter of growth factors. If you look at a 90 year old, the average is about 50-100 micromgrams per deciliter. So, 50 versus 10,000. Okay, so the old person has no growth factors and you cannot repair yourself without those growth factors. Growth factors and stem cells and thymus. Thymus is important as well, because it helps with all the growth factors. So, the three together are the best that you can use, that I know of, for regeneration. We have growth factors of one type or another, we have all the organs in terms of growth factors for the organs, so we can take stem cells and give you them, growth factors to turn your stem cells into like kidney, lung or brain, or whatever. So, we have all those things as well. JUSTIN: Wow, you have quite a few products on your website that I want to talk about after the break. You’ve got one called Stemgevity that looks really fascinating to me. We’ll be right back with Dr. David Steenblock. I hope you’re enjoying the interview so far and getting a lot out of it. I just wanted to tell you really quickly about a program by Chris Kresser called The Healthy Baby Code. If you haven’t heard of Chris Kresser, he’s got a blog called chriskresser.com and he’s put together an amazing course on how to have a healthy baby and how to avoid things like autism and childhood diseases. A lot of kids get leukemia these days and childhood diseases are rampant. So, if you’re looking to avoid all that and to have the healthiest baby possible, definitely check out The Healthy Baby Code. You can find it at extremehealthradio.com/babycode. It comes with about 5-1/2 hours of video presentations and it comes with audio presentations, so that you can download them to your ipod. It’s got hundreds of pages of resource materials, an e-book and bonus files. You get all kinds of things like chi chi meal plans, how to breast feed, how long to breast feed and natural birthing. He’s got the whole thing covered from A-Z in this course, so I highly recommend that if you’re looking to get pregnant, or are already pregnant, you’ve got to check this out. It’s The Healthy Baby Code by Chris Kresser. Again, you can find it at extremehealthradio.com/babycode. Okay, we are with Dr. David Steenblock from strokedoctor.com. So doctor, I wanted to ask you about some of your products. You have something called Stemgevity. Are these stem cells that people would take as a supplement, or how does that supplement work? DAVID STEENBLOCK: Well, Stemgevity is an oral pill, a capsule, and what it does is that it mobilizes your own stem cells out of your bone marrow after you put them into your circulation, so that you have more circulating stem cells that can then go to those areas that need healing. It’s not a pill that you take for lung disease or brain disease, it’s a pill that you take to heal whatever is wrong with you. It’s more like a panacea, because it stem cells work on anything that’s been damaged, so whatever you have that’s damaged or needs healing, this is what it’s for. JUSTIN: Do you have supplements for people, or maybe if someone would want to come in who is relatively healthy and maybe they’re in their 70s or maybe in their 20s, but they just want to fine tune what they already have? DAVID STEENBLOCK: The Stemgevity can be used from children up to 100. Many of the patients will say that they do feel better, they have more energy, they’re sleeping better, have less aches and pains and we’ve had people with improvement in their stroke symptoms. Whatever is wrong with then, they see improvement. JUSTIN: You’re really big into anti-aging as well. what are some of the things that you do on a daily basis for your anti-aging protocol? and high blood pressure, as well as all the kidney diseases. The list goes on and on. You can name almost any disease and endotoxins from the gut are part of it or the actual cause of it. So, keeping your intestinal tract healthy is very important. The only way that I know of to do it is to do testing on that once in a while, maybe once every year or once every two years. Do digestive stool tests to see if you have any of these bugs that can cause autoimmune disease and can cause endotoxins. Otherwise, try to stay off sugar as much as you can and take a lot of probiotics. At least that’s something in general you can do without doing any testing. Otherwise, exercise is always good, without injuring yourself. A lot of us can’t exercise much, because as we get older our joints start to get worn down and we start getting more and more arthritis. So, that’s a problem and that’s the time you want to take more Stemgevity, because that will help with that process. Like I say, I’ll be coming out with a new product line, within the next six months to as year, at different drug stores, and some of these things we’re talking about now will be addressed in my new products. JUSTIN: That’s great. I wanted to ask you too, before we close out the show. We have about 15 minutes. I wanted to ask you about how to clear your arteries? I know you have a product called Nattokinase. Is that similar to systemic enzymes? DAVID STEENBLOCK: Nattokinase, yes. The supplement helps with something that’s called fibrinolysis and it actually allows the blood clotting system to work to disolve blood clots. And, so as you have arteriosclerosis because you’ve been eating too much fat, have high blood pressure or you’ve been a smoker, or like I say, if you have too much cholesterol, too many LDLs, virus or herpes, all of these things can cause damage to the blood vessel wall, and once you have that, then blood clotting can occur on these damaged endothelial cells. Whenever you have a little roughness of the inner lining of the blood vessel, little tiny blood clots can form and this can become part of the arteriosclerotic plaque and can cause little blood clots that can go to your brain and cause you to have transient ischemic attacks and you can start losing all your memory because of these kinds of things, especially if these are occurring in your carotid arteries, the arteries that supply blood to your head. If that’s the case, what you want to do is make sure that’s not happening. If you take Nattokinase that will help dissolve those little blood clots so that they don’t go to your brain and kidney and don’t go to the other organs and cause damage. So, it will help keep your blood vessels more open and your circulation more open. JUSTIN: Do you recommend that women save their umbilical cords? DAVID STEENBLOCK: Yes, I think that’s a good idea if you can afford it, sure. Basically right now, it’s really good for that child if they develop cancer, then you can use them for repairing that child’s bone marrow. You have to get chemotherapy and radiation to kill the child’s cancer and in the process you kill their bone marrow, then at least you’ve got something there to save that child. If you have to buy umbilical cords to provide to your child for cord blood transplants after cancer, it will cost you around $35,000. From that point of view, it’s good to have your own, because you won’t have to spend that kind of money. Hopefully, you’ll never have to use it, and one of these days those cord cells may become useful for the rest of the family as well. The rules and regulations are changing as far as that’s concerned. If you don’t save it you don’t have it, but two to three years, or five years, the technology may be that we can take those cord cells, take them out, grow them up and provide stem cells for all of the family. JUSTIN: I have to ask you a question about, kind of a personal question. I have a torn ACL and have been getting prolotherapy shots for that. Would stem cells be able to help regrow tissues like in an ACL? DAVID STEENBLOCK: Yes, I do a lot of that kind of stuff, joints, tendons and ligaments. You can use PRP, platelet rich plasma, and you can use bone marrow. I like bone marrow because I can just take it out quickly. I ……49.52……inject it into the joints, the ligaments and tendons and by doing that I’m giving you stem cells and platelet rich plasma all at once. It’s a one stop shop and in general, that really fixes things up. JUSTIN: So, you can get people back on their sports and stuff with healthy knees? DAVID STEENBLOCK: Yes, one of my examples is an 18-year old who had a torn shoulder and rotator cuff I believe it was, and he was told he was not going to be playing basketball, I think it was, for six months. He came in and I did a bone marrow transplant, injected directly into that area, and within two weeks he was back playing and was better than ever. His father was a doctor and his father was so impressed he has been sending me business ever since, because this 18 year old was basically cured in less than two weeks. I had another patient who had an acromioclavicular separation of about 2″. It was a grade-4 AC separation, which is a monster. The shoulder just drops and the joint is completely separated, like you can put two fingers between the acromio process and the clavicle, so there was a big gap and the only way to fix it is to do surgery. You have to go in there, put it together, sew it together and all that. He said ‘I don’t want to do that’, so I took raw bone marrow and I took the needle and poked both ends of those bones and then put the raw bone marrow between them, and just strapped it together. Within one month, it was perfectly healed and all back to normal and he has been fine ever since. That was four years ago. He’s doing weightlifting and whatever, and he’s got a normal shoulder. JUSTIN: What are some ways that we can increase our growth factors in our own bodies? DAVID STEENBLOCK: How can you increase your growth factors? Well, exercise, proper diet and proper sleep. Those are the things that we can do. If you’re getting past 50, you might want to think about supplementing your diet with a combination of Arginine and Lysine and maybe my Stemgevity. Arginine and Lysine have been shown, that a combination one to one, to help rejuvenate the thymus, and at age 50 your thymus is pretty low, going down you know where, and as it does that, some autoimmune processes start to occur. So, anything you can do to keep your health intact, is good. Now, some of the people who have money to spend on themselves as they get older and wasnt to do what they can, I developed a program for anti-aging, where I actually do a bone marrow. I take the bone marrow out and give them the bone marrow material back intravenously, but I also then, since I now have an open space in the bone marrow, I put a lot of umbilical cord stem cells in there, with some material to hold it there and allow it to grow. So now you’ve got umbilical cord stem cells growing in your own bone marrow and that will last them for months and months and months, as you’re having a much better and higher rate of repair, because you’ve got these really active stem cells growing in your own bone marrow and they are coming out and supplying your body with basically umbilical cord stem cells on a daily basis for months after that. JUSTIN: Do you have a protocol for each of these different diseases, or do you sometimes change from patient to patient? DAVID STEENBLOCK: It changes. I’m supposed to be writing protocols. I’ve got 2000 doctors who I’m supposed to be writing protocols for, to help them and all that. So far, I’m a little behind on protocols. I’m lined up taking care of each person as they come along. Everybody is so different, so it’s hard to say ‘well, here’s a protocol that will work for everybody’. I can say that generally, you should do this and this and this, but each individual has their own little problems, so the doctor has to be a doctor too. It’s hard to find doctors who are real doctors, as you probably know. JUSTIN: A lot of people have thyroid issues and that’s a big problem in our culture today. DAVID STEENBLOCK: Yes, some really exciting stuff, which they just published yesterday. There’s a new article about how they’ve been taking stem cells and can now actually make thyroid cells. It looks like we’re going to be able to repair the thyroid gland one of these days. JUSTIN: Wow, that’s amazing. I would like to see them be able to regrow a tooth. DAVID STEENBLOCK: I’m working on hair too. I’m the one without the hair, and I’ve got all these patients who are really thick, and I say, do I work on my little bald spot, or do I work on my really sick people and all their problems, so I always end up spending my time on my patients, rather than my head. JUSTIN: Do you add anything to the stem cells in your clinic, or do you have to send them elsewhere I think to do that? Is that right? JUSTIN: I was under the impression that the FDA doesn’t allow tampering with the stem cells. take a centifuge and I can centifuge the material, take that material and inject it, which is what I do. So, those things are perfectly legal. If I should take the stem cells out and grow them and add this or that to them, bone factors and what not and make a lot more cells, that’s illegal for me to give them back to you here in the United States. I think it questionable whether or not I can take them out and send them to Mexico, but you and me can get them in Mexico if we like. JUSTIN: That’s part of the dampening they’re doing with the authorities now? JUSTIN: Where else is your work headed? You said you have a whole new product line coming up. What else do you see yourself doing? DAVID STEENBLOCK: Well, I’ve got a book coming out here within the next few months, about all this too. I’ve been working a little bit on stem cell foods and supplements and what not, what you can take and what you can’t take. I’ve got all the data together, so now I just have to find some guys that can put it all together on an iphone app so that you can download it and put in all your supplements to see if they’re good for your stem cells or not. I also have another little project that I’m trying to work on. Then, I’ve got a 4-year old boy who I’m raising, so he keeps me busy too. He’s the best out of the whole lot, so I’m having a great time. JUSTIN: Well, you’re in my neck of the woods, so I’m going to have to come and see you for my knee. DAVID STEENBLOCK: Okay Justin, I’ll look forward to it. JUSTIN: Thank you so much doctor for spending some time with us. I really, really appreciate that. DAVID STEENBLOCK: Don’t forget my phone number, it’s (949) 367-8870. JUSTIN: We will have links to all of these websites. DAVID STEENBLOCK: Okay Justin, thanks for having me. JUSTIN: Thank you doctor, we’ll be talking soon. Thank you so much for listening to that show. Was that amazing or what? That was really, really good. I’m sorry for the audio as we had some technical issues here with using Skype and unfortunately that happens. So, I apologize for the audio on my questions. If you found value in this show, I would really be appreciative if you would click ‘like’ on this page on Facebook. 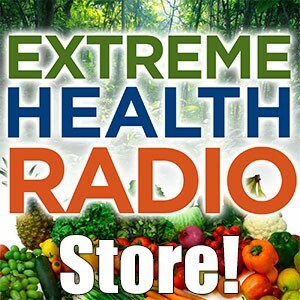 It’s extremehealthradio.com/23 and maybe you can follow us on Facebook and follow us on Twitter as well. That would be really, really great and I’d really appreciate that. That would help to get the word out. We are relying on all of our listeners to help keep this show free, so that we don’t have to charge, so please pass the word on and send the link to your friends. Don’t forget that we have a store, with all kinds of really great products, so check out our store. We have things like blenders, rebounders, workout equipment and workout guides, and e-books and things. So, check out our store and I would really appreciate that. 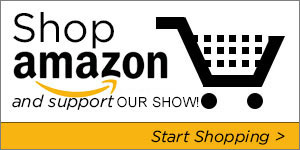 If you ever buy anything from Amazon, please visit extremehealthradio.com/amazon and visit that site first. That will redirect you over to Amazon and we will get a little commission from your order. That would be appreciative too. We are also listener supported, so if you feel like you have gotten some value out of our program, please feel free to donate. You can do that on our site. We would really appreciate that too and you can donate as little as $1, or anything. If you can’t, no big deal, I just want you to learn as much as you can and educate yourself so that you can start healing yourself naturally and not have to take drugs and medications. So, learn as much as you can and other people will help pick up the slack. Thank you so much for listening and pass the show on and I would really appreciate that. Also, email me if you have any questions, justin@extremehealthradio.com and I would love to help you. With that said, thanks for listening and I will see you on the next episode.